While Baojian Cheng may not have family to support her, she does her best with the friendships she has formed through the elderly community center. It provides a place for her to escape the solitude of her apartment and enjoy meals with other people. 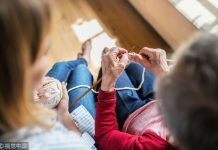 Almost 10% of elderly live alone, and around 30% of elderly show signs of depression, so these connections they make form a valuable lifeline. The support can make all the difference in the world.